While this isn’t completely Central Florida-centric in nature, it does relate to two very special Central Floridians. I also told a friend of mine who is friends with said Central Floridians I’d help promote the cause, so here we go…. 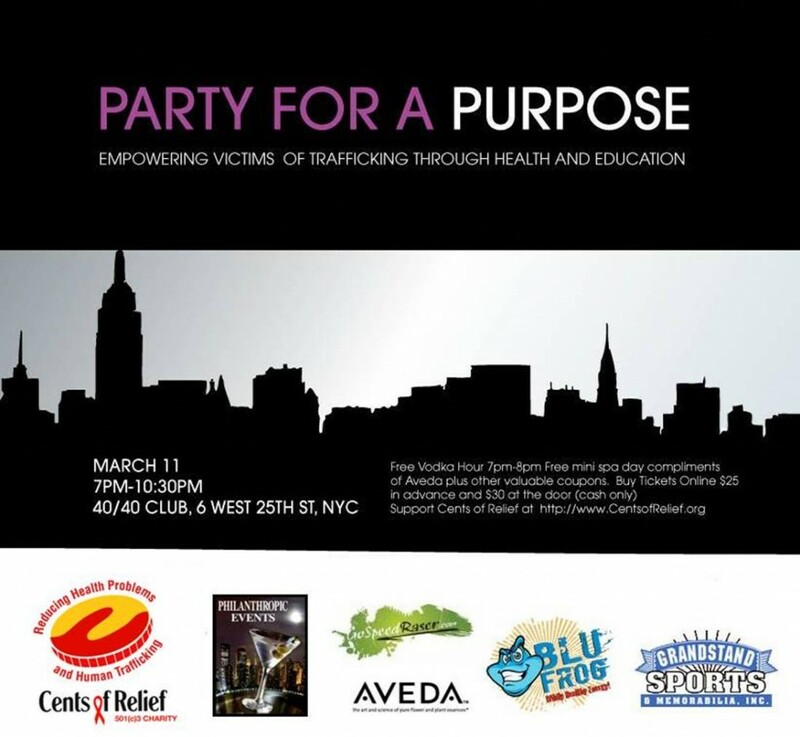 If you happen to be in the NYC area next week, on Thursday, March 11th, please consider attending this party for Cents of Relief. I would love to go but…obviously, I live in Orlando. Tickets to the event are very affordable and are donated for the cause. Event details are included in the flier below. If you’re not going to be in the New York City area later this month but would like to learn more about Cents of Relief, including how you can donate and get involved, please visit their website. And give a big shout-out to Anup and Rina for bringing awareness to this important topic. Good wishes to Cents of Relief with their event! Great write up, Ashley! Thanks for getting the word out! Partying in NYC just won’t be the same without you, buddy. You’re welcome…and of course it won’t be the same without me! It never is – especially in NYC! You are beyond welcome, Rina! Thanks to you & Anup for doing something so great. We would love to be part of an event should you bring it to Central Florida.